I stopped in at Three Palms Brewing and enjoyed the Spiced Darkness Pumpkin Pie Stout. I’ve tried pumpkin ale and pumpkin porter but this was my first pumpkin stout. It was delicious. It is a great sipping beer. had the great pleasure of chatting with the brewery owner while enjoying my beer tonight. He’s got a great story. If the quality of Spiced Darkness is any indication I’d say the rest of the beers are pretty good too! 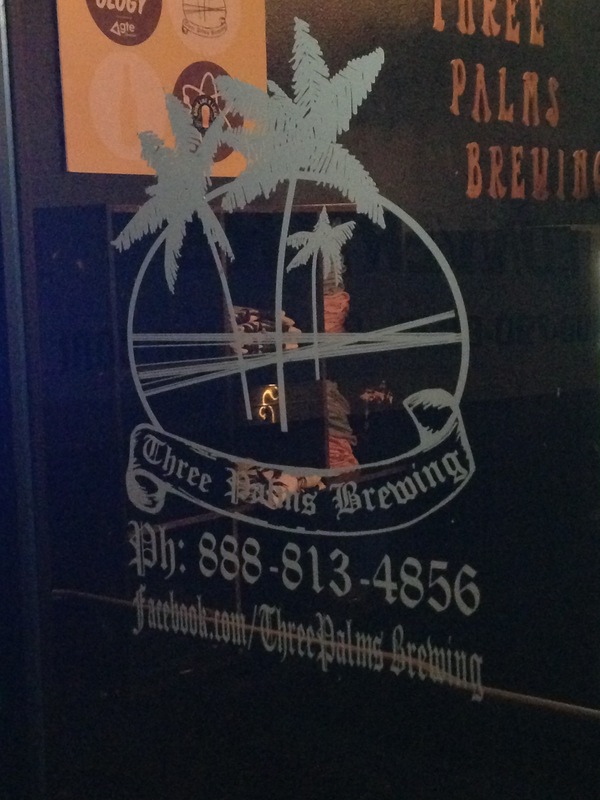 Best wishes to Three Palms Brewing.! !